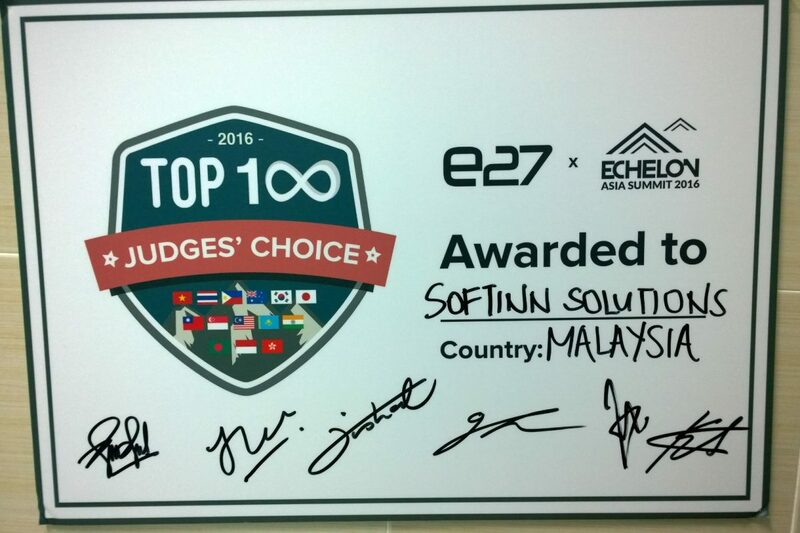 We, Softinn Solutions recently emerged victorious in the recent TOP100 Startup Search which was held in the Maybank Innovation Centre. Before we got selected for the event, the TOP 100 Startup Search judging panel reviewed through over 50 Malaysian applications then shortlisted several startups. 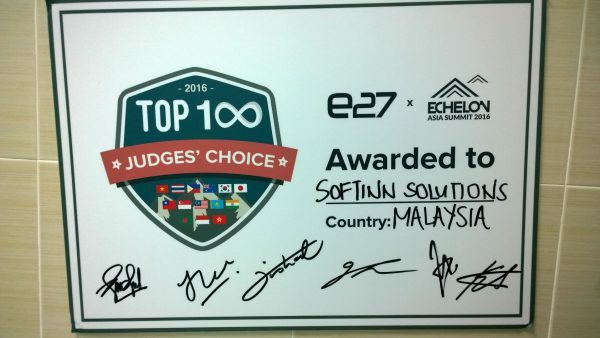 Fortunately, we got selected and during the event we were given an opportunity to impress the judges within three minutes of extreme pitching time, followed by the five minutes of Q&A session to land an opportunity to be a part of the TOP100. 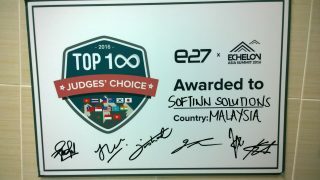 After a brief amount of time, the judges had finalized their decisions and we were crowned the Judges’ Choice winner by taking home the SGD $500 cash prize as well as the booth package at Echelon Asia Summit 2016. We are in the running to be crowned Asia’s TOP 100 startup of 2016 and hereby looking forward to the Echelon Asia Summit 2016 which will be taking place on June 15-16 at Singapore Expo Hall . Click here to see about the other Top 16 Startups that will be taking part and do not forget that you can book the tickets right here !